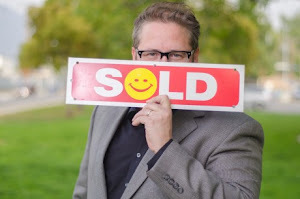 Looking for a Burbank, CA home? 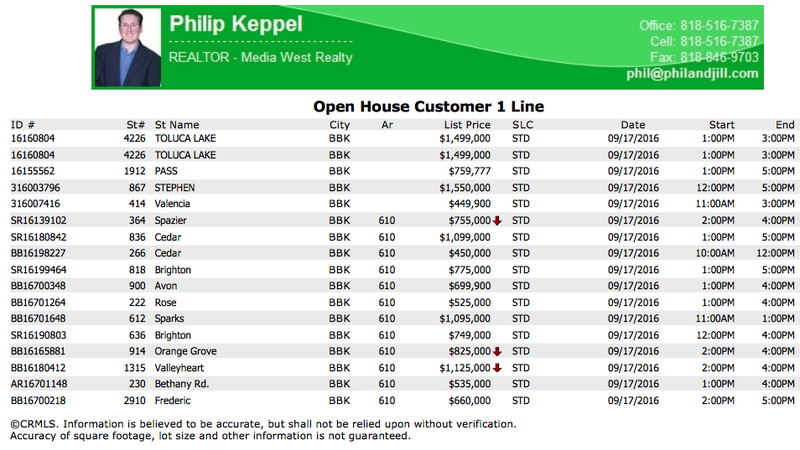 Here are all the MLS advertised (at time of writing) homes hosting open houses for Saturday 09/17/2016. Lists are available for other cities/locations by request. 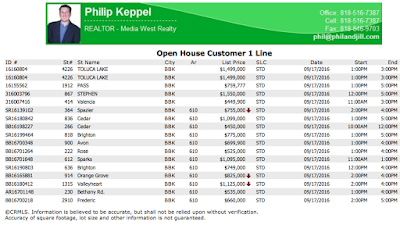 Contact Philip Keppel - Burbank, CA Realtor® at (818)516-7387, or email philipkeppel@yahoo.com.